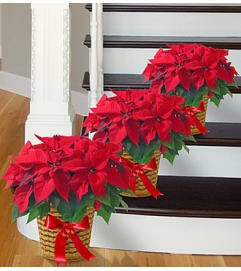 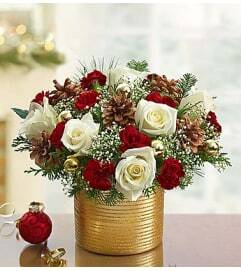 All is bright when you add this truly original arrangement to the holiday decor! 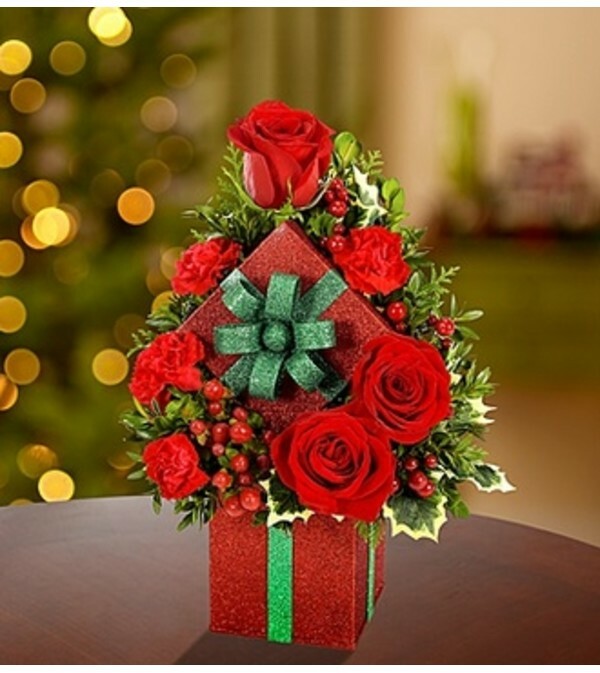 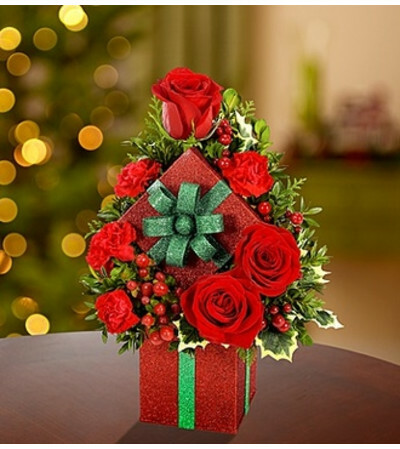 A handcrafted mix of red roses, red mini carnations and red hypericum, it’s gathered with fragrant holiday greens in our glittering holiday gift box, ready to help you express season’s greetings perfectly. 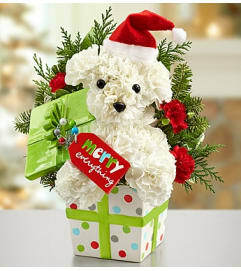 Afterwards, the keepsake container can be used to create more shimmering holiday smiles.